Millions of Stripe users are waiting for your calculator. 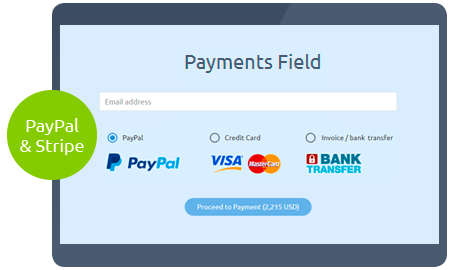 Accept Stripe payments on your website. 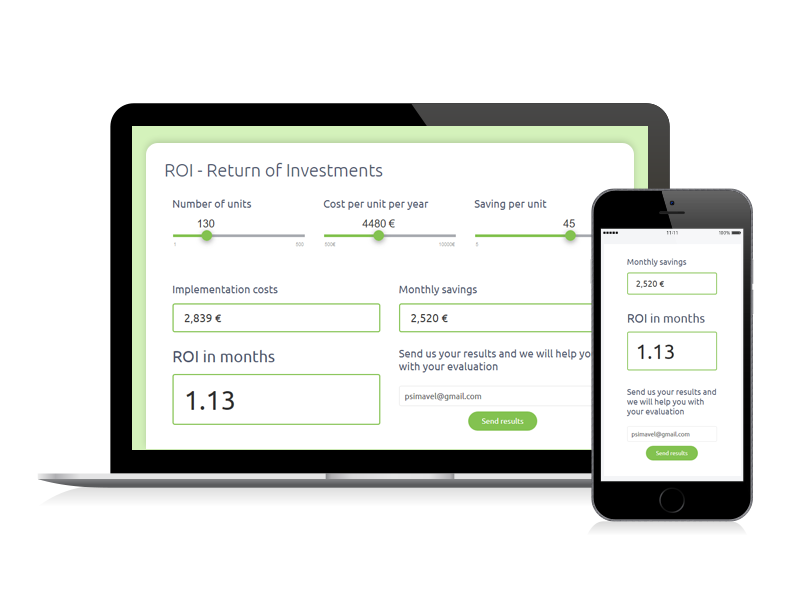 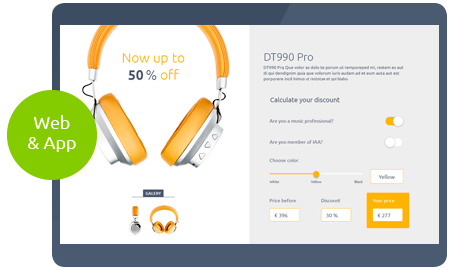 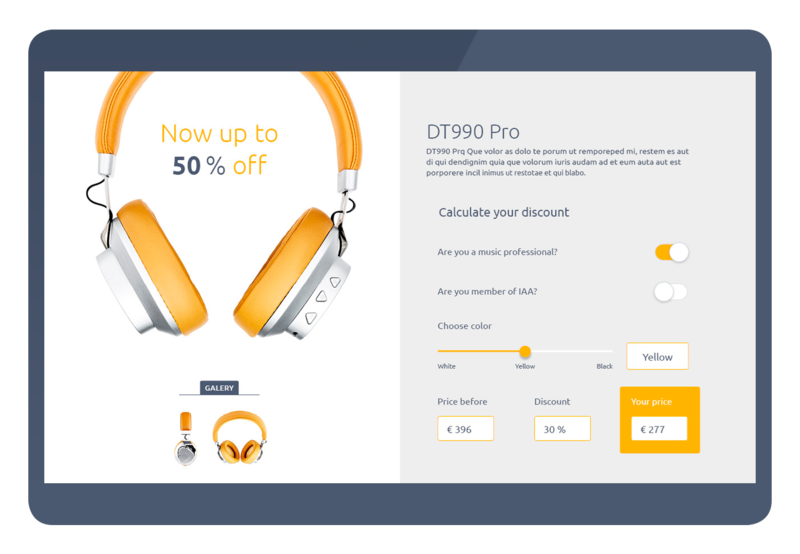 Let your users calculate price easily. 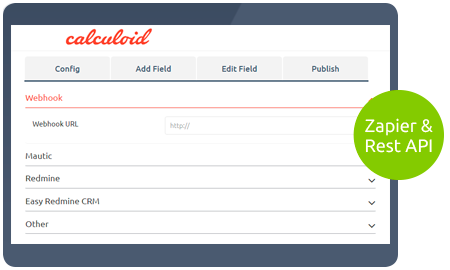 Calculoid is a platform for creating interactive web calculators which can be easily publish into your website. 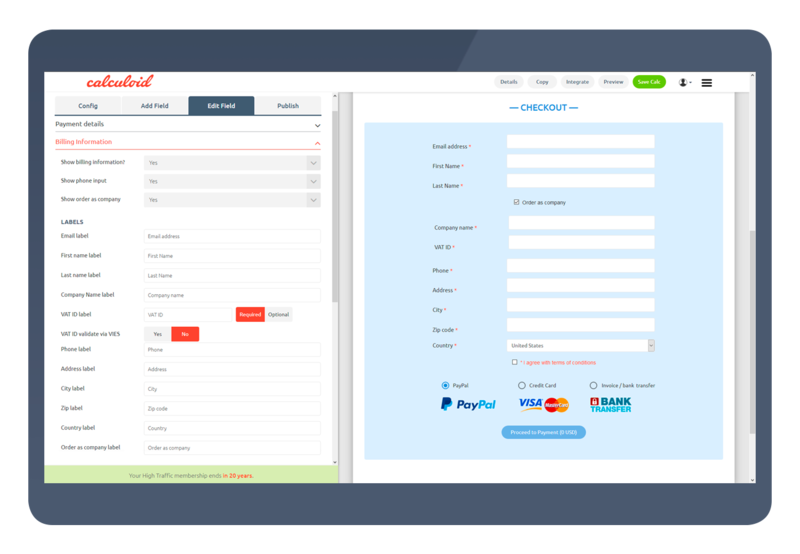 Features such as online payments or emails submissions will enhance your e-commerce and lead generation capabilities. 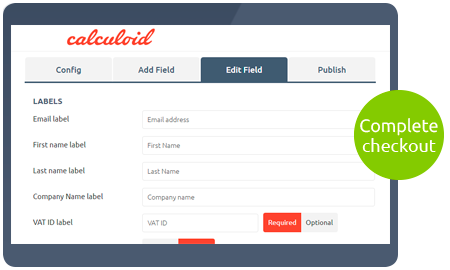 You do not have to be a web developer to create your own online calculator in just a few clicks. 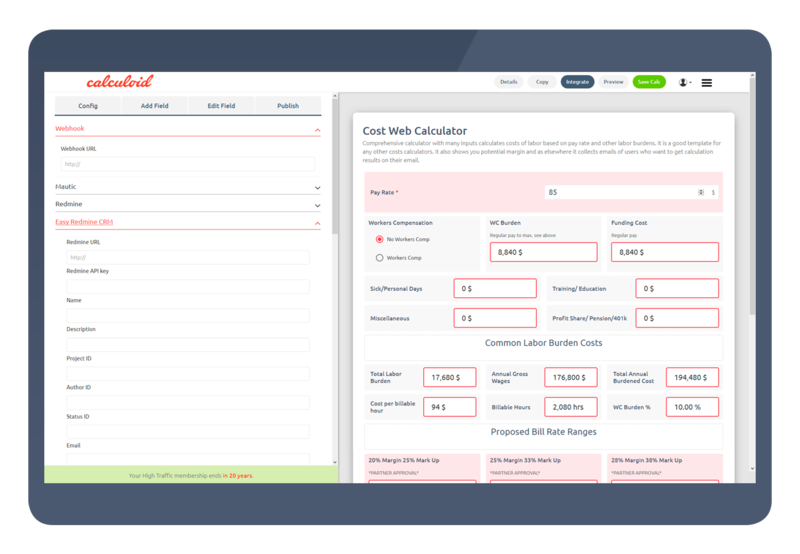 You do not have to be a web developer to create your own online calculator in just a few minutes.